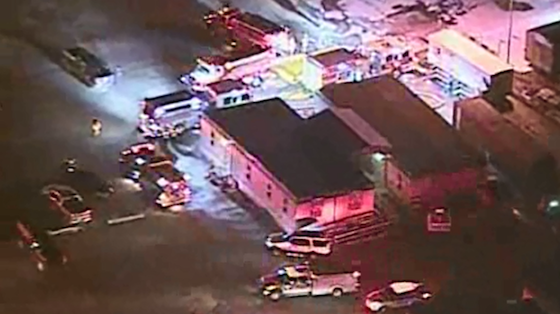 A Man injured in a Chartiers Township, PA, energy facility explosion dies. A worker injured in an explosion at a MarkWest energy facility in Chartiers Township, PA, died. Jeffrey Fisher, of Salem, West Virginia, 61, died December 18 at a hospital burn unit, said officials at the Allegheny County Medical Examiner’s Office. Fisher was one of four injured in the explosion and subsequent fire at the facility in Chartiers Township Dec. 13. The conditions of the other three people have not been released. MarkWest previously said the explosion happened near two temporary tanks. The company gathers and processes natural gas and stores chemicals related to fracking. Parent company spokesman Jamal Kheiry said the company is “deeply saddened” about Fisher’s death. The company, he said, is working with federal, state and local officials to investigate the explosion.